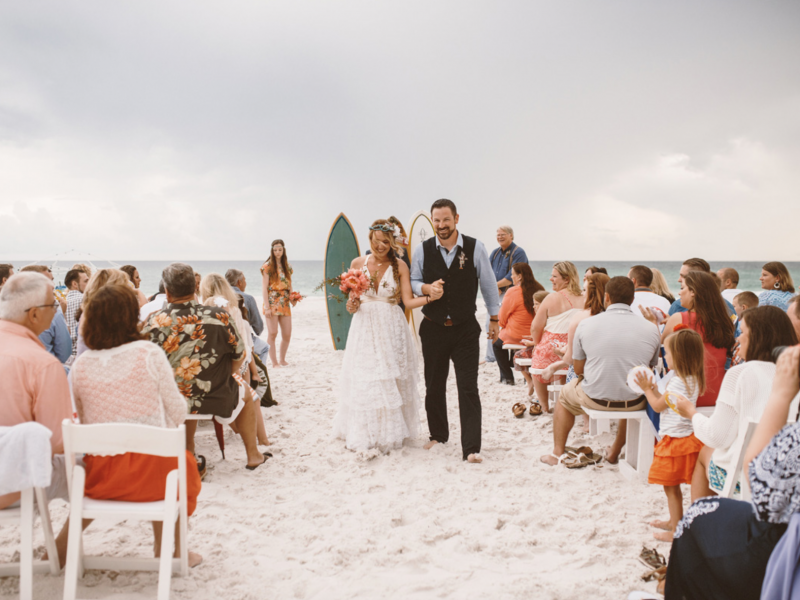 30a Wedding Co. / Grayton Beach - 30a Wedding Co. Grayton Beach - 30a Wedding Co.
Grayton Beach will celebrate 125 years in 2015, and is probably the most historic dot on the South Walton map. A town built on lots of history and one that stands true to its slogan, “Nice Dogs, Friendly Folks.” Grayton Beach is probably as down home, laid-back and old-school as any beach community can be. With its narrow oak lined streets, great fishing and watersports opportunities, as well as Western Lake and Grayton Beach State Park, Grayton Beach is a true paradise that has morphed to accommodate modernism, without having lost its old southern beach town charm. In 1885, U.S. Army Major, Charles Gray constructed a home on the piece of coast now known as Grayton Beach. The federal government owned most of the area land and not many people had any reason to move there. The area was beautiful in its coastline and views, but the sand was terrible for trying to grow anything one needed and the timber was not plentiful compared to other areas to the north. Skip forward about five years and two Army Generals, William Miller and William Wilson, both moved their families to the beach haven, and began to lay the ground work for the blocks and streets that would become their new town. It was named Grayton Beach after Major Gray, but reaching the area was somewhat of a chore as there wasn’t yet a bridge over Choctawhatchee Bay. Another early settler, W. H. Butler and his son, Van R. Butler, (who now has a South Walton school named after him) made the day-long trip from DeFuniak Springs to Grayton Beach in 1913 and simply decided to make it their new home. The Butler family decided to start a resort project and bought most of the land that is now known as Grayton Beach. This was the real beginning of Grayton Beach and its life as a vacation and resort destination. The Butler family built and rented cottages, sold building lots, and even ran Grayton’s dance hall-once located where the well-known Red Bar is today- and general mercantile. With all of this history and charm, combined with wonderful beaches and lots of activities for adventure, Grayton is a place you certainly want to spend some time in on your next vacation to South Walton. It Rained On Her Wedding Day… But Then This Happened!